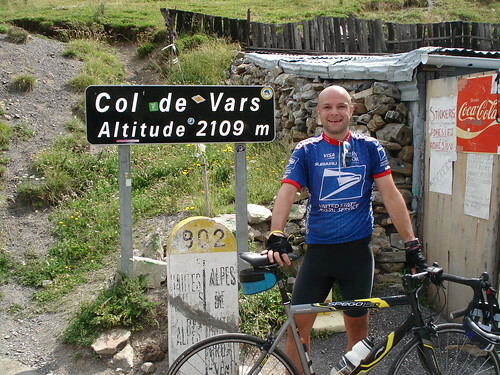 As we head south to Barcelonnette, the Col de Vars is a perfect climb to break up the drive. 20 kmilometres. 1,150 metres vertical. 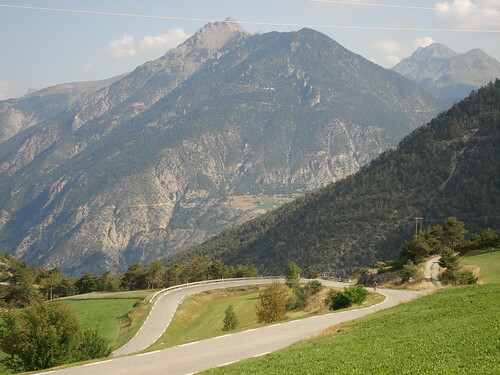 A beautiful winding route, although there is a little bit of traffic as it is part of the Grandes Route des Alpes and one of the only roads crossing this section of the Alps. Vars ski station is about two-thirds of the way up. That’s me, the tiny speck on the right. Stele with lots of history. dating back to 1300’s. This was often a contested border point between Italy – France – Savoie – etc and a couple of battles have been fought (way) up here. Next Article The Highest Road in Europe?